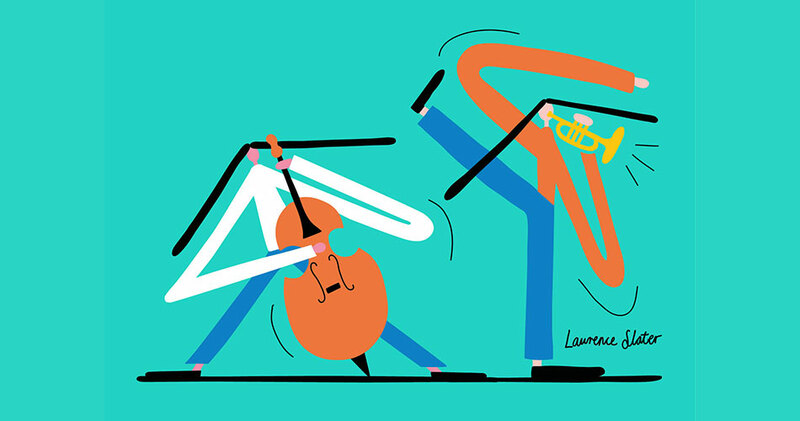 Visit this new London jazz festival and discover top UK contemporary bands to excite and challenge your musical self. Summer Jazz Weekenders supported by Jazz FM takes place in Greenwich Peninsula’s beautiful outdoor amphitheatre in Peninsula Gardens. Two bands a day for four days of music over two weekends. Summer Jazz Weekenders will also feature MI-SOUL Radio DJs, live contemporary circus performances by Upswing, Ping Pong fun with Pongathon, an area of workshops, food and relaxation for families by MOTHERBRUNCH, artist workshops with Honeyscribe and street food by Craft London. UK jazz today experiments and takes risks, drawing on an eclectic mix of musical influences from hip-hop, folk, electronic music, rock, soul and music from all over the world. Experience the diversity of the modern UK jazz scene through a mixture of established and fresh musicians with a variety of musical and cultural influences. The festival has been commissioned by Greenwich Peninsula with jazz impresario Harry Christelis. Featuring an outstanding range of talented, London based musicians this exciting group perform Tom’s most recent set of emotive and imaginative compositions. Tom draws on compositional influences such as Joe Lovano, The Golden Age of Steam, Mark Lockheart, Brad Mehldau and Chris Potter to create a set of music unlike anything on the London Scene today. One of the most well established UK saxophonists, joined by two other big names from the scene Tim Giles and Ross Stanley. All three of these guys always create a stir around town when they’re playing, with many people watching closely and following what they’ll be doing next! Escape Hatch is a new collaboration between MOBO-award winning pianist Ivo Neame, Italian double bass virtuoso Andrea di Biase and drummer of the moment Dave Hamblett. The name of the group is a tribute to the power that music has to transport listeners and performers alike to the antipodes of the mind. The material is a mixture of di Biase and Neame’s compositions, and the trio explores a huge variety of musical landscapes with characteristic verve and integrity. There are influences from classical composers such as Ligeti and Messaien, which nestle alongside polyrhythmic structures that are reminiscent of Vijay Iyer and Steve Lehman. The group has also performed with the legendary Kenny Wheeler as a guest. Drawing on the broad spectrum of Jewish folk traditions, Bahla have found a space to create new music by bringing characteristics of Yiddish Art Songs, North African Rhythms and Liturgical Melodies into a melting pot along with influences such as Polar Bear, Shai Maestro and Radiohead. Following their debut gig at the BBC Proms Lates, they have kept a busy schedule including London Jazz Festival, Brecon Jazz Festival, Wigmore Hall as well as recording their debut album ‘Imprints’. Mi-Soul Radio DJs will play the best in classic to cutting edge, rare collector’s soul and uptempo. Summer Jazz Weekenders will also be taking place on 12th and 13th August.